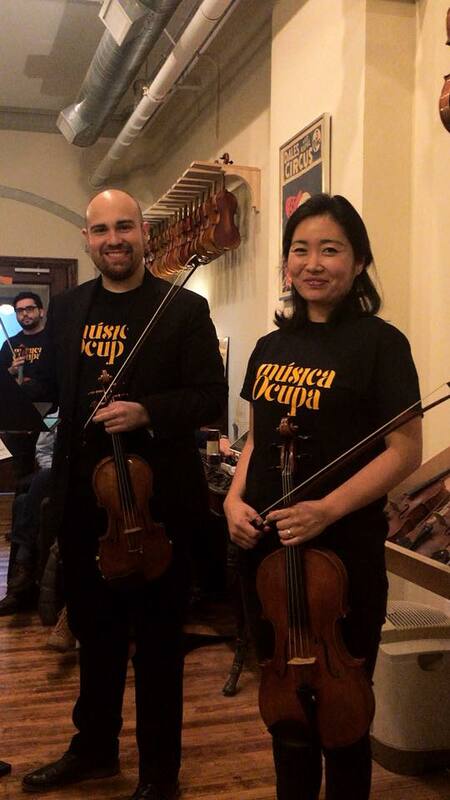 MúsicaOcupa: Classical Music Festival in Unusual Spaces is a not-for-profit whose mission is to perform, teach and spread classical music in Ecuador and the United States, especially to people and communities who normally would not have the resources or ability to attend concerts. We believe in the importance of the presence of classical music in a society, and have identified the lack of new and exciting spaces where it can be cultivated. 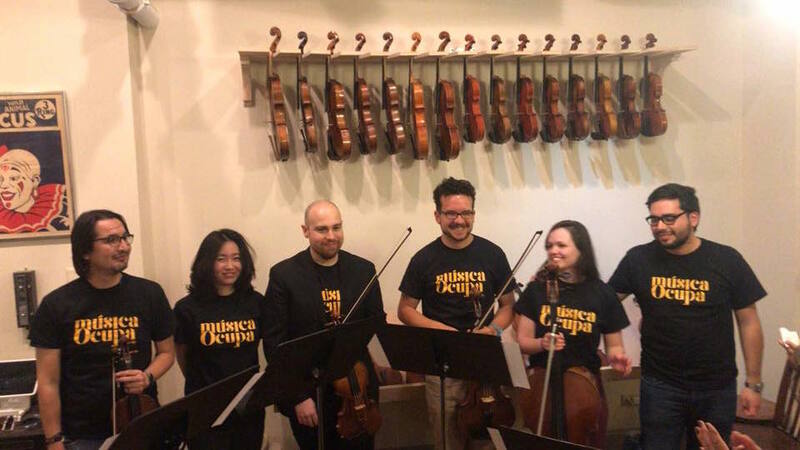 Ecuador is currently starving for a larger arts presence that reaches broader audiences, and we are committed to decentralizing and democratizing access to classical music in order to achieve that goal. Our 2nd annual chamber music festival in Quito, Ecuador took place in June of 2018. It featured 18 concerts, pop-up concerts and educational programs throughout the city over the course of two weeks. 28 international and local musicians gathered together to make the city come alive with musical presentations ranging from the Baroque to contemporary Ecuadorian and everything in between. By leaving the concert hall and occupying unusual venues, we can touch the hearts of a larger and more diverse cross section of the population. If you would like to be part of our mission you can donate through PayPal in a few simple steps by clicking on the button Below. You can donate from anywhere in the world. If you live in the U.S., your contribution is tax-deductible. Every contribution means a lot to us! Thank you for allowing us to continue working on and dreaming of ways of bringing wonderful experiences through music to the people in Ecuador who would normally not have access to it. We hope that our mission takes us everywhere in the world, if you think you or someone you know might be able to help us in developing projects, volunteering (in Ecuador or abroad), or otherwise, please let us know. 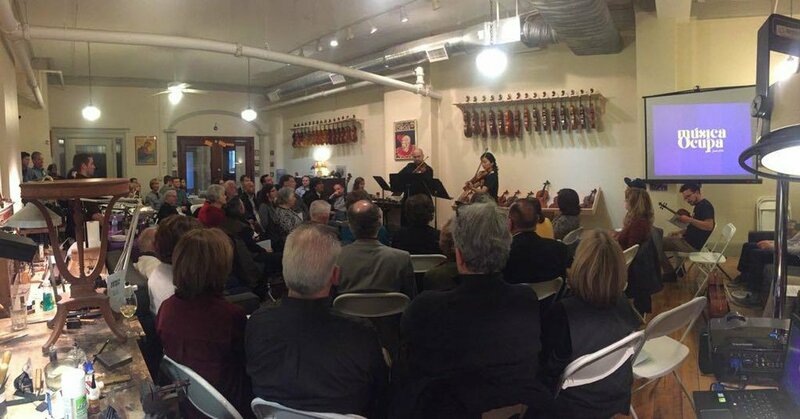 On March 10, 2018 we held a fundraising concert in the city of Chicago in the Workshop of Eric Swanson in the Fine Arts Building. Here are some pictures of a wonderful evening, that went beyond our expectations, surrounded by friends and music. We're so happy so many people turned up - we had a full house! It's inspiring to know all of you care for classical music and it's cultural and educational importance as much as we do. Special thanks to Graciela Chediak, Dr. Rudy Marcozzi and Dr. Carlos Lenin Housse, our guest speakers who shared their remarkable thoughts and words with us!